Welcome to the Monday Finish, where we want to thank Jordan Spieth for helping us smash some social media records yesterday. Spieth won the Masters Tournament with a record-setting performance at Augusta National, tying Tiger Woods’ tournament-low, 18-under par, after breaking the 36- and 54-hole scoring records along the way. Justin Rose and Phil Mickelson finished the week at 14 under and tied for second. In the 78 Masters before this year, the winning score has only been lower than that five times. 1) With a birdie at No. 15 on Sunday, Jordan Spieth became the first player to ever get to -19 at the Masters. A meaningless bogey at No. 18 kept him from setting a new tournament record, but his 72-hole total of 270 ties Tiger Woods’ famous 1997 score. 2) Since you may be tired of hearing about Spieth’s age, I’ll cram all the 21-year-old stuff into one bullet point. First of all, Spieth joins Tiger Woods, Gene Sarazen and Tom Creavy as the only players since 1900 to win three times (with at least one major) before turning 22. Since 1940, only Woods, Spieth and Sergio Garcia have recorded three wins before age 22. Finally, He’s the second youngest winner of the Masters, behind Woods and a year and a half younger than Seve Ballesteros. 3) Spieth becomes the first wire-to-wire winner of the Masters since Raymond Floyd did so in 1976. Thinking about how the media attention, interview requests and more that has changed since that time only makes that more impressive. 4) Spieth entered this week 0-for-4 when holding 54-hole leads on the PGA TOUR. We can throw that stat out the window. 5) Spieth is the first player to ever play his first eight rounds at Augusta National at par or better. Here’s a closer look at what he’s done. 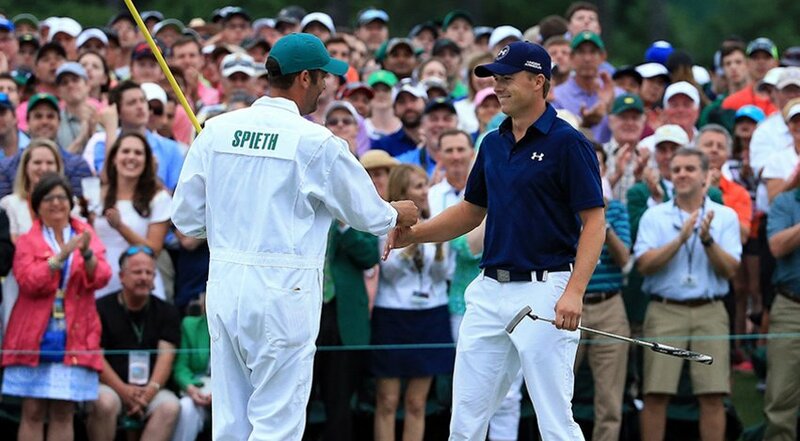 6) Spieth made 28 birdies this week, setting a new Masters record. Phil Mickelson made 25 in 2001. Tiger Woods made 24 in winning in 2005, the previous most by a Masters champion. 7) Spieth’s last four starts on the PGA TOUR: Win (Valspar Championship), second (Valero Texas Open), T2, lost in a playoff (Shell Houston Open), win (Masters). Going out further, here’s how his last 12 worldwide starts look: Four wins, 10 top 10s. For four consecutive starts, Spieth has played in the final group on Sunday. 9) Phil Mickelson now has the Career (Runner-up) Grand Slam. Sunday’s T2 finish was his first runner-up at The Masters and his 10th overall runner-up at a major. 1) Spieth is playing, honoring his earlier commitment to play the RBC Heritage. 2) Spieth will be making a media tour of New York City, so we’ll see plenty of outside-the-norm interviews of the Masters champion. Brian Wacker will be along for the tour and you can follow updates throughout the day tomorrow on PGATOUR.COM. 3) Harbour Town and the RBC Heritage has one of the best finishing holes on TOUR.